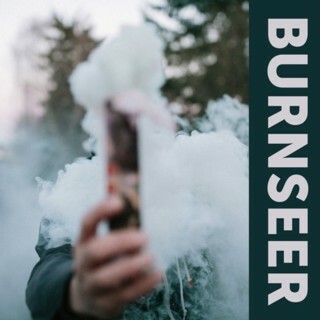 Burnseer is American rock band based in the Pacific Northwest. Burnseer is Frankie G, - guitar and singing – Formerly of Rocket Surgery with Jack Endino and Norman Scott on the drums(Skin Yard, Gruntruck, Capping Day), and bassist Eric Norberg. Burnseer is a band that has mass and density. It is Dinosaur Jr vs. The Ramones for 15 rounds. What you may not expect is the NYC pop sensibility that Frankie brings to the band. It is as if PJ Harvey and Patti Smith had a love child. In addition to the core band, the mighty Fastbacks guitarist Kurt Bloch provided additional notes to several songs. Good notes! Burnseer was recorded by Mr. Conrad Uno (Mudhoney, PUSA, millions more) at Egg Studios and subsequently mastered by Mr. Bloch.